After a great holiday season it’s time to continue writing and sharing great insides about S/4HANA again. With the official release of S/4HANA 1709 last Friday September 15th, there are a lot of new topics and innovations introduced. In this post I will go through the highlights of this massive release. Detailed posts on specific topics will be shared in future posts. By the way, I would like to take the opportunity to thank you all for your great interest and contributions to this blog. Since the start of this blog the number of followers and visitors are growing by day which motivates me very much. I hope we can keep up this positive spirit in future and continue sharing great stuff. I will directly jump into the key differences between the last 3 releases in terms of functionality. 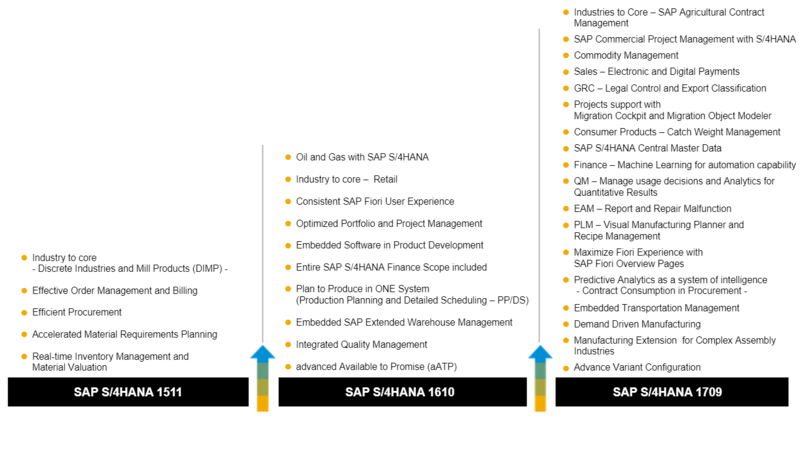 Below you can see the key innovations which are evolved during the 3 releases of S/4HANA? Still no confidence to start an S/4HANA journey? 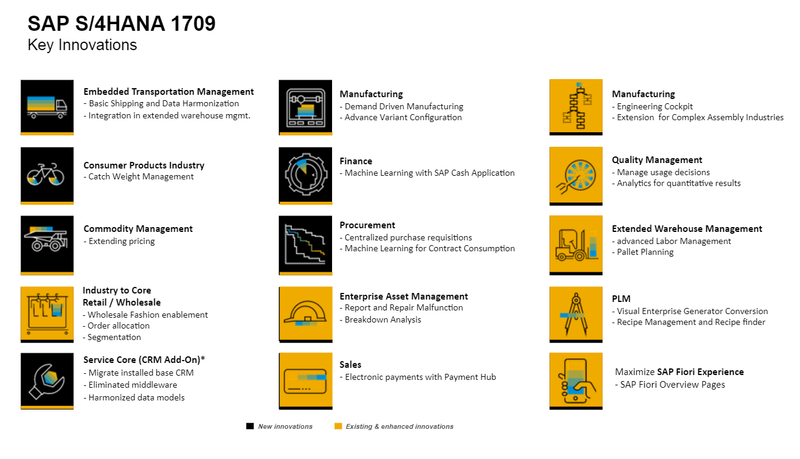 With 1709 we arrived at the third release of S/4HANA already. Some people are still not convinced of the maturity of the product. I have to admit that this was true for the first release but since release 1610 we really have a mature and proven product. The fact that more than 1000 companies around the globe are already live with S/4HANA is a clear indication of the maturity of this product. The exact numbers are not presented yet, but on Monday September 25th SAP will announce the exact number of customers already live with S/4HANA. On October 4 a webinar is scheduled to announce 3 new tools to personalize the S/4HANA journey based on you current release. What can we expect in terms of future releases and upgrades? SAP releases Future Package Stacks each quarter. For On-Premise installation you can completely decide yourself if and when you install these upgrades. For Cloud deployments SAP takes care of the upgrade and maintenance. So these instances will receive the upgrades automatically each quarter. The core values in S/4HANA are still the same and untouched. S/4HANA is still outstanding in: Real-Time Analytics, Simulation, being able to handle multiple dimensions at the same time. I can tell you that this release of S/4HANA is massive. The “What’s New Guide” counts 612 pages! In the picture below the Key innovations of this release are highlighted. As I already mentioned, this release is so big that it will be difficult to cover each and every innovation which comes with 1709. Instead of going through every key innovation, I will highlight some of the most important topics. With the release of 1610 last year, Fiori 2.0 was introduced for a consistent user experience across all lines of business. In this release Fiori is further developed. It is more an evolution then a revolution compared to the last year release. Some of you may have already red my post on Fiori 2.0. If not I highly recommend to read it here. However there are some nice features added and I will mention 2 of them. Notes: User can make notes in Apps. CoPilot links the notes to the Apps in which they are created. Screen Shots: Create and share Screenshots from Fiori Apps. Recognize Business Objects: CoPilot recognizes business object from the current application in which you work and allows you to add them to your notes. In-context chat: chat with your colleagues and share notes, screenshots and business object. Quick actions: quickly create business object within CoPilot like contact persons etc. Next to CoPilot, the Overview pages, Object Pages and List Reports capabilities are enhanced with this release. Below you can find the list of innovations specifically for Finance. Subsequent implementation of document splitting is now available! Implementation of Document Splitting can now be done in phases instead of doing it directly together with the migration. 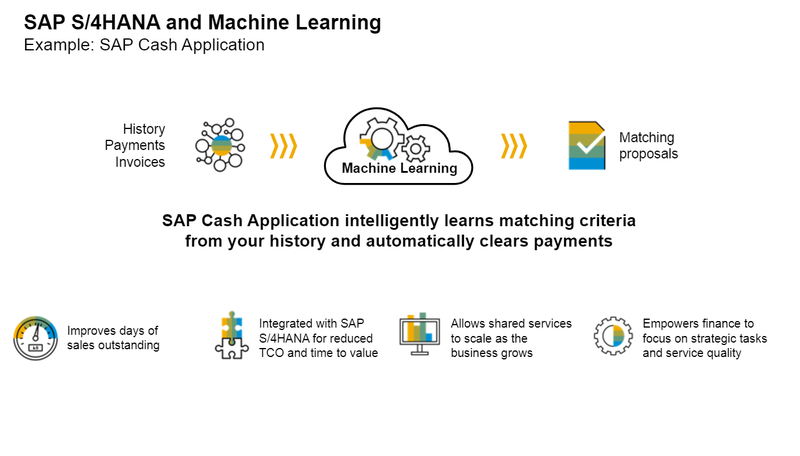 Machine learning capabilities are added in the application thanks to SAP Leonardo. This is several apps available in 1709 which uses machine learning. The example given in the picture below is the Cash Application. The system uses all the historical data to learn matching criteria in order to clear payments better when importing bank statements. TS was a standalone application before. 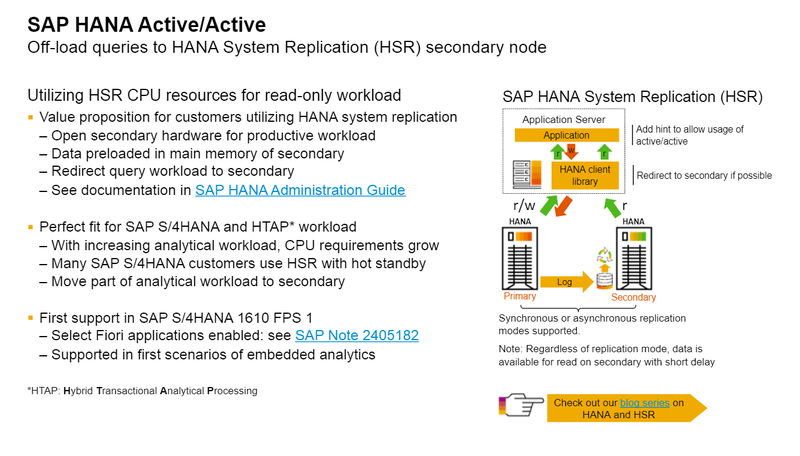 With S/4HANA 1709 it is in the S/4 Core. One system, one data model and a consolidated landscape. Finally it is here. This feature will be one of the most important innovations in the 1709 release. The lack of a flexible and good looking product configurator was a limitation for manufacturing industries in releases prior to 1709. Therefore I saw that third party solutions where widely used for product configuration instead of the standard SAP solution. The new variant configurator will support the Lot Size of One in a world where customization and individualization of products is a growing trend. 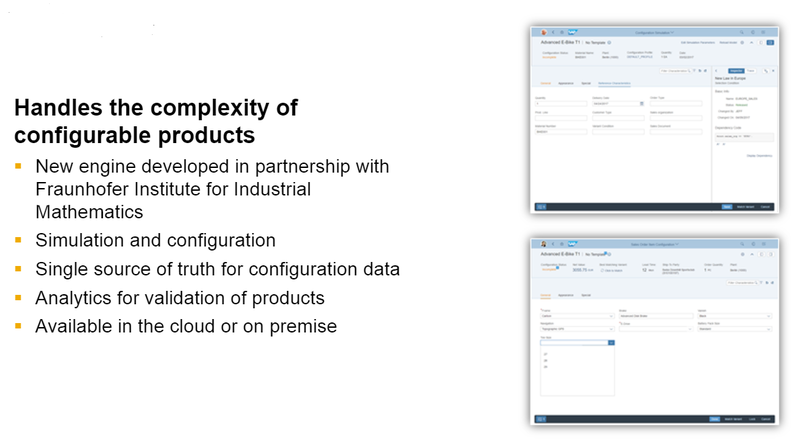 Next to the new simulation engine which is developed for the advanced variant configurator, there are new Apps available in Fiori to enhance the user experience. CWM is Industry term in consumer products and food processing business. Actually this functionality is not new. However it always was a separate application. With this release of S/4HANA it is brought to the core, like Transportation Management and EWM (1610 release). The purpose is again landscape consolidation and unification of the data sources. With the release of 1709 HANA 2 becomes mandatory as the database platform for S/4HANA. 1709 is actually build on HANA 2. Next to a set of improvement like a new management cockpit (security, disaster recovery) the key benefits are the added Clustering capabilities. I will not go in to all technical details of HANA 2, but would like to mention the Active/Active clustering capability. Active/Active clustering means that you actually can do something productive with your secondary instance of HANA instead of sitting there waiting for a disaster to happen. So some of the analytical workloads can be redirected to the secondary instance. This was already possible in 1610 FSP1, but now it is a standard capability in S/4HANA 1709. With S/4HANA 1610 new data migration tools were already launched. We have the Migration cockpit, Migration Object Modeler (MOM) and the Rapid Data Migration (SAP Data Services) tools. These tools remain in S/4HANA 1709, but the content and the number of supported business objects have increased. Because the Rapid Data Migration tool requires a separate installation I will not mention this tool here. The Migration Cockpit and the Migration Object Modeler are embedded tools which can be used right out the box with S/4HANA. LSMW is still available but the going forward preferred data migration tool in S/4HANA is definitely the Migration Cockpit. I will write a detailed post on these 2 tools in future. Below I have added a list of the current available objects in the migration cockpit. 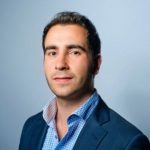 After reading this blog you should have a good overview of the highlights of this release. Stay tuned for dedicated detailed blogs about some of these highlights the coming months. Make sure you subscribe to make sure you don’t miss anything. Could you throw more light on the data migration approach using Migration cockpit (MC)? Does MC also have any standard templates available that can be leveraged to load data. We are in line to propose Data services but client will have to bear additional cost. Can you provide me how MC can be beneficial over Data services and vice versa? Look forward for Migration Cockpit. Do we have Territory management function in scope as part of 1709? thank you for this great information , can you update with SAP S/4HANA 1709 Embedded Analytics Apps List for all Modules. Is it mandatory to have HANA DB 2.0 for 1709 or 1709 can be implemented on 1.0 as well? Good Post. We have a issue here in S/4 HANA Migration cockpit 1809, while we are trying to upload Material Master Data through Migration Cockpit (LTMC S/4 HANA 1809) by using EN_Material template. But in ‘Warehouse Number Data’ sheet we found Warehouse Number* field as mandatory.But we do not have warehouse data as our client is not maintaining any warehouse data. Kindly suggest us how to resolve the issue.